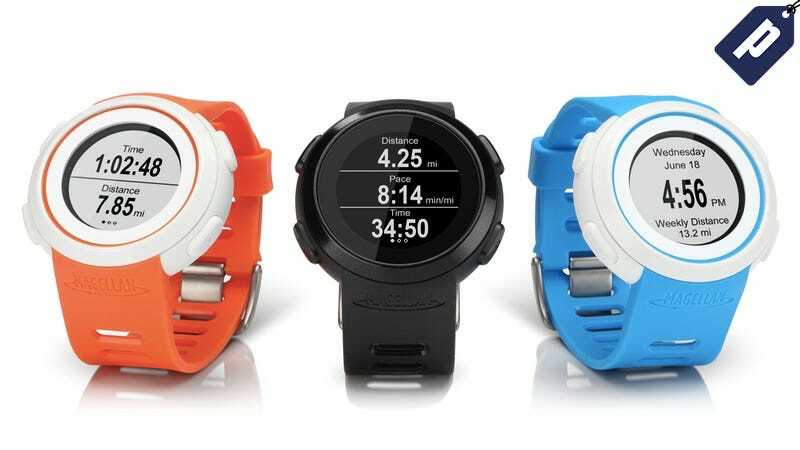 The Magellan Echo Smart Fitness Watch streams data from any of your favorite sports and fitness tracking apps right on your wrist so you don’t have to miss a step to check on your performance. It retails for around $100, but Kotaku readers can get one today for just $39.99 + free shipping - 60% off MSRP. There are tons of sports and fitness apps out there, but once you start running or cycling, it’s tough to keep an eye on your phone. With The Magellan Echo, you can see distance, pace, heart rate, and more from your favorite apps, without missing a step. It’s water resistant, completely adjustable to fit any wrist, and has a battery life of up to 3 months. The Magellan Echo is compatible with most iOS and Android devices, and is available in five different colors to match any style. You won’t find a better price than $39.99, so don’t miss out - grab yours today while supplies last.